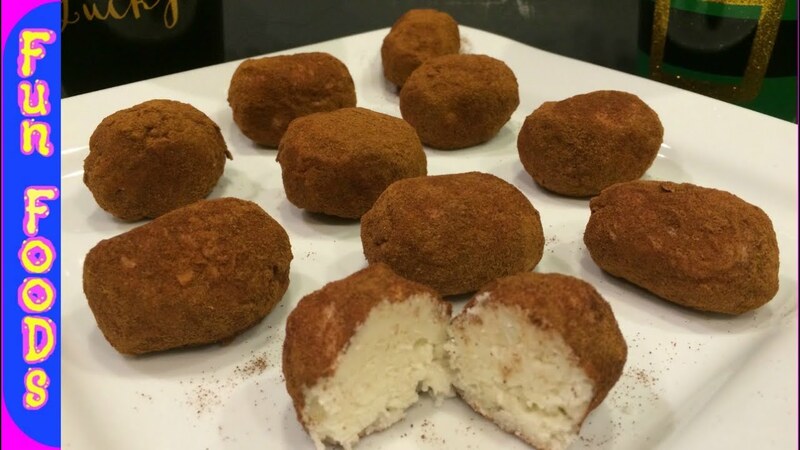 …that’s me…makes Irish Potatoes.You know, the candy Irish potatoes. You can make them potato size or, as I prefer, more like a cinnamon butter cream.Now I make them for my neighbors, and this year I am making them for my class, but I have to keep the coconut out for school, because my friend Jack is allergic. Basically, here is my recipe for 25 Irish potatoes, buttercream size. 1 cup of coconut flakes, depending on you or your audience’s love of coconut. A good grade of cinnamon powder.You’ll need at least 4 ounces-more if you are making bigger potatoes. Cream together cream cheese, vanilla and 10x sugar. Let rest in refrigerator for 15 minutes.Bring it back out after 15,and then fold in the coconut flakes and stir or mix thoroughly.Then I put it back in the refrigerator for 30 minutes. After resting, bring them back out, use a cookie scoop or melon baller, and form your potatoes.I line a cookie sheet with parchment paper, so they won’t stick.Then, keeping one hand for dropping in the cinnamon and one for rolling in the cinnamon,start rolling your potatoes in the mixture.The trick here is not to get the cinnamon in your potato mixture.It takes a few batches for me to actually realize that unless it is rotten, a potato should be white….ha! Put finished tray back in refrigerator until ready to serve or package as gifts. I’ve been making these for 25 years, and they are pretty good. Next Next post: Give me the youngsters…..